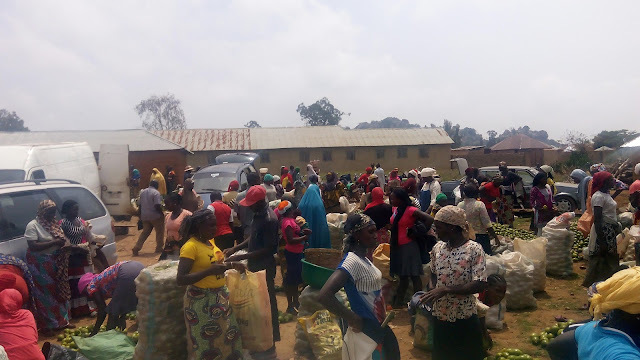 Unanticipated gunshots in Central Plateau's Daffo village, West of Bokkos town on Tuesday have forced journalists on official assignment to flee along with terrified traders. The incident followed a media tour of burnt down villages in the Daffo area following recent attacks. Some two people were said to have been killed in Ganda village where the gun blasts reportedly started from. MKB however confirmed one middle aged man named Mafulul Sunday critically wounded while another, yet to be identified reportedly killed. The village Chief, Bitrus Dauda had earlier revealed that several peace meetings had been held with native and Fulani leaders in the area towards restoring order. A more enlarged meeting with the local government authorities he said was being planned where peace agreements would be entered into. At least 30 people have been killed in different attacks in the Daffo area since January 2018. More than 1000 houses in nine villages have been razed down in the attacks. No security report has been released since the first attack in Farandong Hai village despite series of arrests.